Is found in several kinds of red algae. The Japanese call it Kanten. Although it can be used to make jelly, it is completely different from gelatine. Agar is a polysaccharide, gelatine is a protein. Agar melts and congeals at higher temperature (resp. 90 °C/194 °F and 45 °C/113 °F,to 27 °C/80.5 °F and 20 °C/68 °F for gelatine). Because of this higher processing temperature agar is used in tropical climates instead of gelatine. Moreover, agar can be used with pineapple, papaya and kiwi-fruit, gelatine won’t work with these fruit. Agar feels differently in the mouth too: food with gelatine melts on your tongue, agar will have to be chewed. Agar is also known for its use as a culture medium for bacteria. Recipe: Meat Jelly, Fake eggs for Lent. A herbal colouring made from the roots of borage like plants. Used by the Arabs to colour fabrics and food. Is still in use as a food colouring. Recipe: Strawberry pudding. In oldfashioned detective novels, before everything was solved with computers, the hero would kneel over the body and announce that there was an almond smell. The cause of death was clear: poisoning with cyanide. And indeed, bitter almonds contain cyanide, and it is not healthy to consume unprocessed bitter almonds. But they do contain just that acerbic taste that saves good marzipan from dull sweetness. If you make marzipan that will be eaten in large quantities, like the marzipan figurines that are so popular in The Netherlands at the Saint Nicholas Feast, it is best to use almond essence. If you just cover your christmas cake with a thin layer of marzipan, it won’t hurt to use a bitter almond or two in a pound of sweet almonds. Bitter almonds can be bought easily in Europe, but in the US they are a banned substance (while weapons are freely available, isn’t that strange?). Recipes: Custard with ratafia, Trifle. Ground almonds can be bought in specialized food stores and maybe patisseries. You can also ground blanched almonds in a blender or mortar. Ground almonds are comparable to shredded coconut: you can make ‘milk’ with it. Almond milk is used in medieval recipes to thicken sauces (just like coconut milk is used in the Indonesian and Indian kitchen). During Lent almond milk was the most important substitute of dairy products (milk, cheese, butter, eggs). There are recipes for almond butter (think: peanut butter) and almond cheese, which resembles marzipan. The substitution of almonds for dairy products was a good one: 100 gram almonds contain twice as much calcium, five times the amount of phosphorus, and no less than hundred times as much iron as 100 gram milk (without industrial additions). Also, almonds contain more vitamin B1, B2, B6, and more beta-carotene, 10% fibres and no cholesterol. Just one negative point: they also contain ten times the calories fat milk has. Recipes: Almond paste, Speculaas with rich almond filling, Fake fish (medieval apple pie), Strawberry pudding, Tasty hedgehogs. 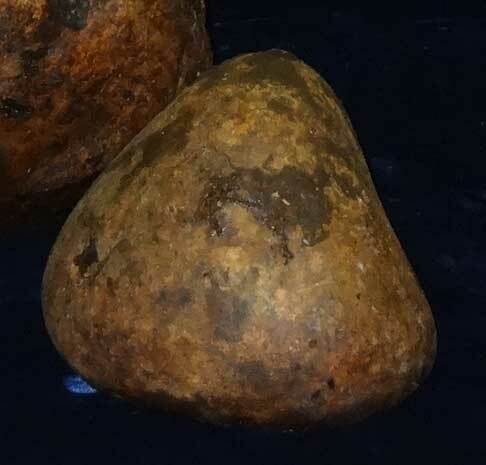 You can find ambergris washed ashore on ocean beaches, or fish it up from the sea. If you are lucky. If you want to buy some, prepare to pay a lot. There is a vegetable substitute, labdanum resinoid, the purified resin of the cistus rose (Cistus labdanifer), that can be used instead of ambergris (this also happens in the perfume industry). 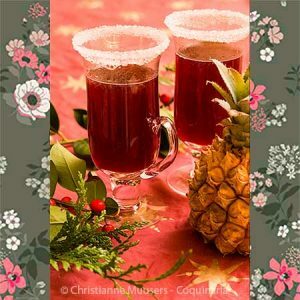 Recipe: Divine wine. A kind of starch. Today most starch is made from maize or potatoes, but in Roman days it was made from wheat, by repeatedly moistening and drying in the sun of wheat flour. The final result was starch, amulum. Recipe: Roman apricots. A small fish, Engraulis ecrasicolus, that lives in the Mediteranean and other waters. Where I live (The Netherlands, incase you hadn’t noticed yet), we seldom eat fresh anchovy. Our anchovy comes salted in glass pots or canned in oil. Use salted anchovy rather than in oil, the flesh is firmer, they taste better, and if you need but a few fillets, you’ll never get the can closed again. But if you use salted anchovy, take care to steep them in water or milk for ten minutes, else they’ll be too salty. Recipes: Garum, Capon with caper sauce, Salmon Salad, Anchovy sauce, Surprise eggs. 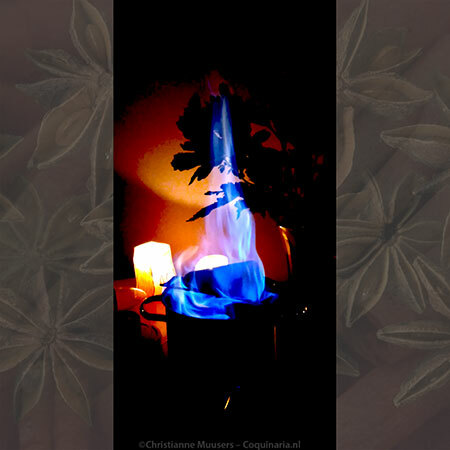 The flavour of anise is much appreciated all over the world. Aniseed is indigenous in the Middle-East, and was used around the Mediterranean at least from the fourth century bC. The seed is from an annual plant called Pimpinella anisum. The distinctive sweet taste comes from anethole, an essential oil. In China grows Illicium verum, a small evergreen tree related to magnolia. Its dried, star-shaped fruit are also rich in anethole. See Fennel. Recipe: Chinese tea-eggs. A colouring agent, extracted from the seeds of the achiote tree (Bixa orellana) which is indigenous in tropical regions of South America. The seeds were originally used as body paint by certain Indian tribes (the orgin of the term ‘redskins’). The substance is not only insect-repellant, but also protects the skin against the sun, so using annatto this way was a brilliant idea. 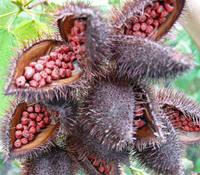 In Europe, annatto is known as E160b. It is the traditional colouring agent in custard powder, and also used in p.e. Cheddar cheese. Recipe: Custard. 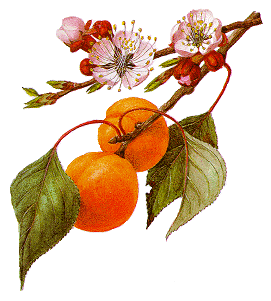 The apricot (Prunus armeniaca) belongs to the same famliy as prune, peach, cherry and almond. These fruit belong to the larger family of rosaceous plants, which also contains apple, pear and quince. The fruit originated in China, where it was already cultivated two thousand years before its introduction, in the first century B.C., in Persia (Iran). Shortly thereafter the apricot reached Greece and Rome. The Romans called the fruit praecocium, because of its early maturation. In the English apricot you can still recognize the Latin name. The artichoke (Cynara scolymus) is a thistle. 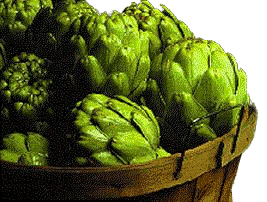 Artichokes were bred from wild cardoons (Cyanara cardunculus) that are indigenous to the Mediterranean region. They have larger flowerbuds than their wild predecessors, and it is that flower bud that is the edible part. At least, part of it, for artichokes are very uneconomical food. In comparison to what you actually get to eat, here’s an awful lot of waste. But still, it is a relaxed way to start a meal: decomposing a boiled artichoke. Young artichokes can be eaten whole, boiled or deep-fried.Some recipes only use the bottom, or the heart (the bottom with the inner, soft leaves). You can also stuff artichokes. They were very popular in the seventeenth and eighteenth century. Recipe: Jacobin pottage. The season for asparagus is short -at leasat, it is in the Netherlands: from mid-April to the 24th of June (Saint John’s) the white stalks that are harvested have grown outdoors. Asparagus is not white by its own choice. If you leave them alone the stalks will peep out above the soil and turn green in the sunlight. Nowadays you can buy green asparagus all year round. In my opinion you can’t exchange white asparagus for green and vice versa in whatever recipe you want to prepare, they each have their own flavour. It is not impossible to use green or white asparagus for the same recipe, but the finished dish will be quite different. Just remember: canned asparagus are NOT an option! Recipe: Roman patina with asparagus and quail. This ‘vegetable’ is botanically speaking a fruit. Other such fake vegetables are garden peas, string beans and corn, and also cucumber, courgette (zucchine), tomato and sweet pepper. That we call this fruit vegetables has to do with the way we use them in the kitchen. Aubergines or eggplants are notorious for the amount of fat they manage to absorb when they are fried. Sprinkling cut aubergines with salt was once done to remove the bitterness of the fruit, but now the bitterness has been eleminiated by selective growing it still has its use because it also lessens the amount of fat the aubergine will absorb. However, the aubergine will still absorb some of the fat, so it is best to pat the aubergines after frying with kitchen towels to remove all excess fat. Aubergines originate from India. The Arabs brought this fruit to Europe in the thirteenth century. Recipes: Arab meatballs in aubergine sauce, aubergines in aubergine sauce.